I read this article and found it very interesting, thought it might be something for you. The article is called C-Section Rates Reveal The Need For Smarter Indian Healthcare Policy and is located at https://archive.indiaspend.com/cover-story/c-section-rates-reveal-the-need-for-smarter-indian-healthcare-policy-20353. 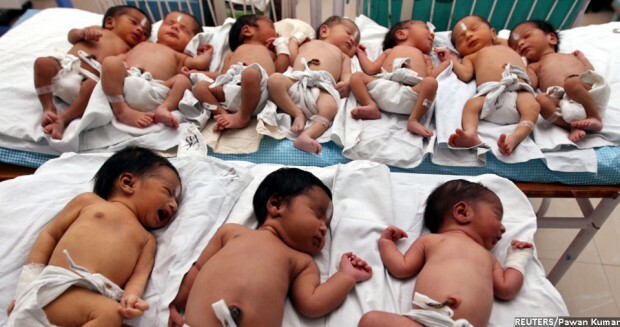 In 2011-12, more than 50% of deliveries in nine of 10 Telangana districts were caesarean section deliveries (C-sections), according to an analysis of district-level health data. In comparison, none of the districts in Rajasthan, Uttar Pradesh, Madhya Pradesh and Bihar had C-section rates of more than 25%. C-section is a specialised procedure that is needed to deal with complicated delivery cases. The healthy rates of C-section should range from 10% to 15%, according to this April 2015 World Health Organization estimate, while a December 2015 study led by Ariadne Labs, a joint center of Brigham and Women’s Hospital and the Harvard T.H. Chan School of Public Health, suggested that optimal C-section rate could be as high as 19%. The procedure brings risk of infection and can cause complications in future pregnancies, so it should be used only when medically necessary. At the national level, while India lies near the healthy range, around 8.5% as per WHO data ,it is deceptive of the underlying inequalities and variations. In many districts in India, the C-section rate is either too low or too high, according to the analysis we conducted at Evidence for Policy Design of district-level estimates for C-section rates across the country–in both public and private healthcare institutions—from the District Level Household Survey Round 4 and the Annual Health Survey. What is driving high C-section rates? Higher than necessary C-section rates can be presented as a case of “market failure”, an economic term used to describe cases where allocation of goods or services is not efficient. In this case, market failure could arise due to “information asymmetry”–doctors generally know more about the treatments than the patients. Combine that with potential incentives for doctors to provide expensive treatments, and you are looking at a healthcare market that is inclined to over-treat. In private facilities, where incentives for over-treatment are potentially higher, C-section rates were higher than 20% in nearly 85% of the districts in the country. In public institutions, C-sections rates were more varied. In several districts in south India, we found high rates of caesarean deliveries even in public institutions. For instance, C-section rates in public institutions were higher than 20% in all the districts of Telangana, which is a rare example of extremely high C-section deliveries overall. India spent 1.4% of its gross domestic product on public healthcare in 2014. In comparison, Organisation for Economic Co-operation and Development (OECD), a group of 35 advanced economies, spent an average of 7.7%. Low spending could be one reason behind the poor health outcomes in India compared to other countries. The answer to this is not a blanket approach of investing in healthcare facilities and personnel. The outcome budget of the ministry of health & family welfare follows this as a solution with an overarching emphasis on quantity: the underlying assumption being that more public health facilities would lead to increased access to public facilities, which would be followed by more people accessing public facilities, and eventually better health outcomes. There is a need to indulge in preliminary diagnostics to determine site-specific needs and strategies. One way to approach a diagnosis of India’s ailing public healthcare system is to identify cases where outcomes vary widely. The extent to which C-section is available and availed by women is a good proxy of the performance of the healthcare system. Challenges in the low C-section districts are quite different from those with very high rates, and the healthcare policy should reflect such differences. For districts with low rates, there is a possible case for greater investments in public healthcare infrastructure and facilities, and more qualified medical personnel. It is not clear if this approach would be appropriate for some of the regions with high C-section rates. For one, it ignores the critical role of the private sector, which is the more dominant health service provider in India. Across India, for treatment of most ailments, citizens prefer private healthcare service providers approximately 70% of the time, an analysis of National Sample Survey Round 71 data shows. When asked why they chose a private facility over a public facility, the dominant response was the quality of facilities, which is not satisfactory in public institutions. More appropriate solutions for these areas could be to invest more in quality of care rather than quantity, and to design regulatory frameworks to ensure that healthcare institutions–both public and private–are held more accountable. There is a need to better understand the landscape before indulging in target-oriented policy design and solutions. While there are data to understand the problems–that are different in different regions of the country–there is a need for more information to decipher the underlying factors driving these differences. For instance, there are not enough data that can help us gauge quality of care, without which we do not have a clear sense of what drives perception of quality. Building on that, we will need more robust evidence on what works in different contexts. Cross-country and cross-region lessons in attempts to improve overall quality of healthcare can serve as preliminary evidence to determine the direction in which investments in the health sector in India. Only then can we be sure that we get the most out of our limited resources. High rates o C – section operations in some parts of the country reflect not only state of healthcare, but also the problem of doctors receiving higher monetary benefits. Most of the doctors in private nursing homes advise ‘C – section ‘ even when normal delivery is possible so that they can charge additional fee for conducting the operation. Hence, government hospitals must be increased and such operations should be regulated so that only needy patients are advised to under- go such risky operations.